TEKNA® combines traditional saddlery and modern technology which results in highly functional riding gear in top design. TEKNA® products are the perfect combination of style, quality and performance. 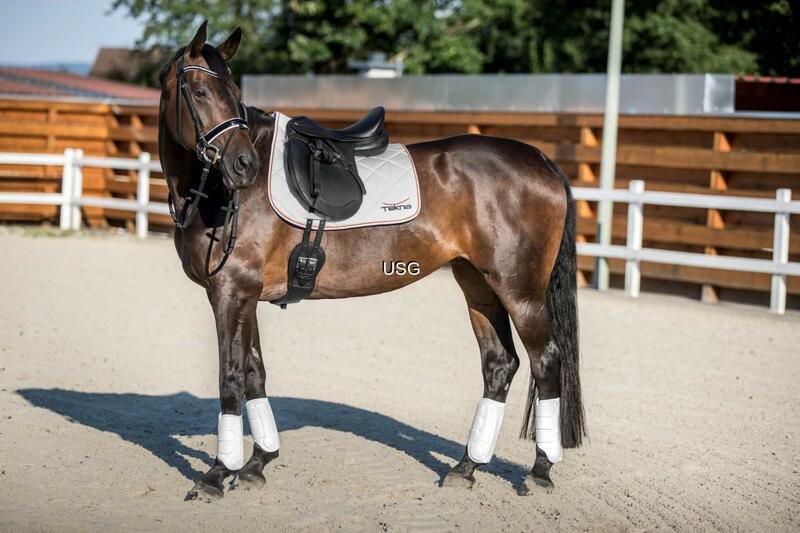 • TEKNA® QUIK CHANGE™: The new generation of saddles with changeable gullet system. • TEKNA® QUIK FORM™: The successful TEKNA® saddle series with adjustable saddle tree. • TEKNA® QUIK CLEAN™: Breathable, durable materials for a maximum performance, durability and comfort - with minimal care! 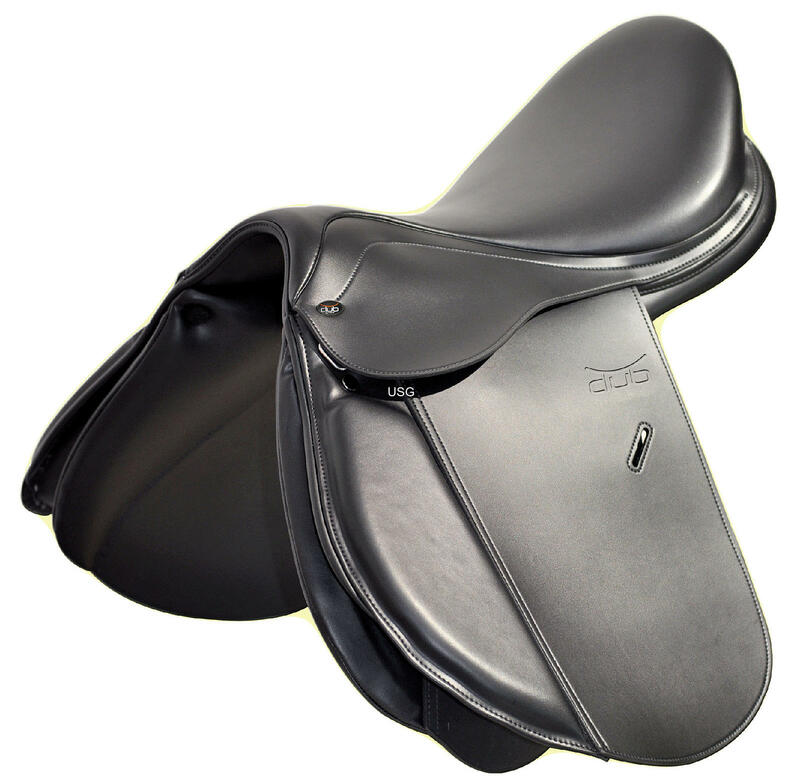 TEKNA® saddles can be individually padded by your saddler just like a conventional saddle. They are the ideal combination of high-tech and tradition! • Only the Tekna® Club model, cannot be padded up or down. High-quality bridles, reins, straps, stirrup leathers, gaiters, saddle pads to match the saddles. For all disciplines and demands. Due to the Quick-Clean™ material, the elaborate leather care is eliminated. 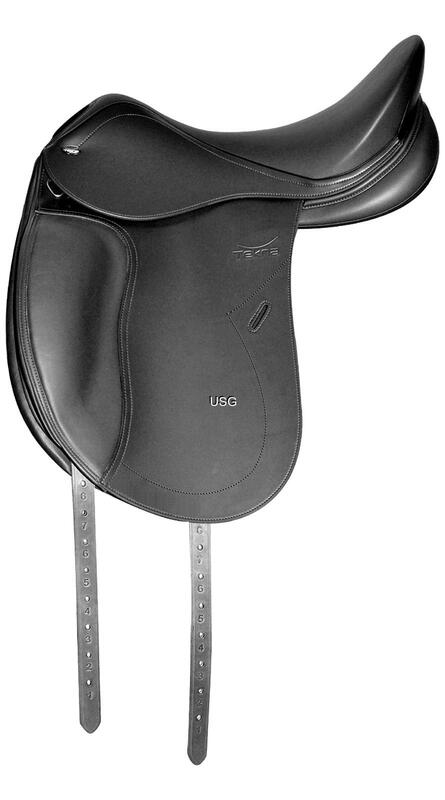 All TEKNA® S-Line saddles are built on the basis of a QUIK CHANGE™ saddle tree system. This allows the saddler to quickly and individually adjust the saddle width by replacing the gullet. 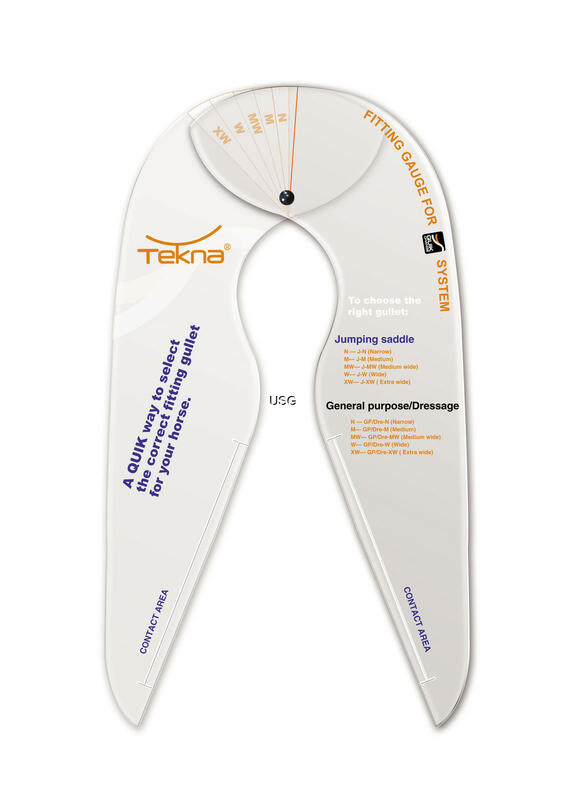 The TEKNA® fitting gauge is made especially for Tekna S-Line and LeTek saddles, It is designed to be used for General Purpose, Dressage and Jumping saddles. The gauge is easy to use and understand - a must have for all saddle fitters. 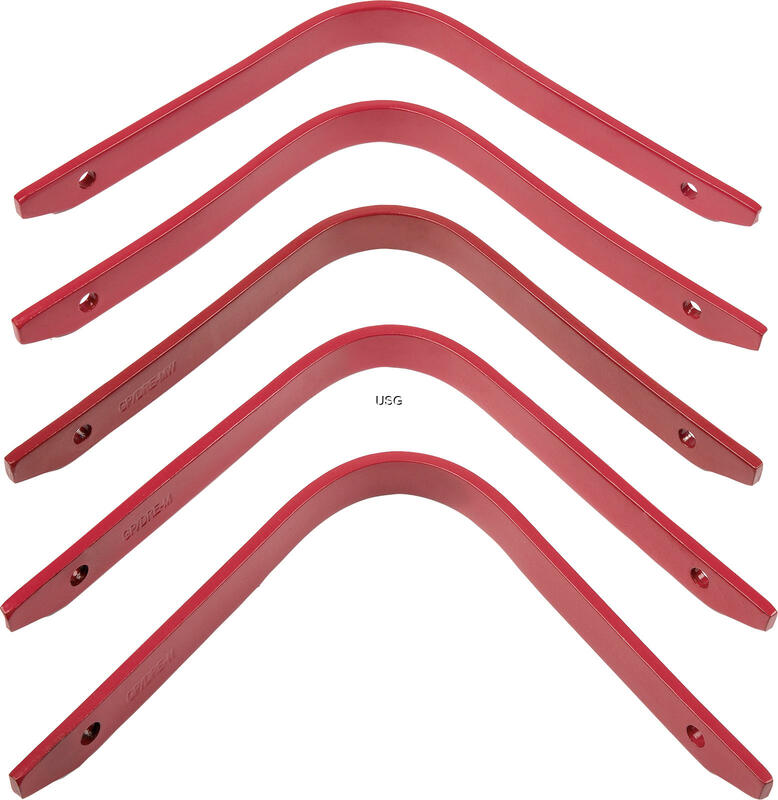 We have six different widths for each saddle type: extra narrow, narrow, medium, wide, extra wide and extra, extra wide. Thanks to intensive research and development work, a modular system has been developed that manages with six different gullet irons for each type of horse. 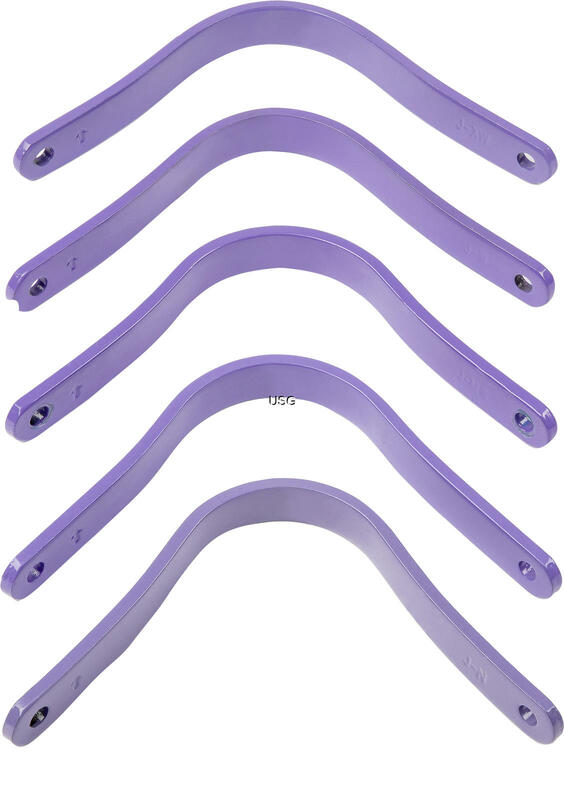 Each saddle type has a special gullet in six widths and each saddle is delivered with a medium-sized gullet. Do you need another gullet? It can be purchased additionally. Each saddle is delivered with a hex wrench. 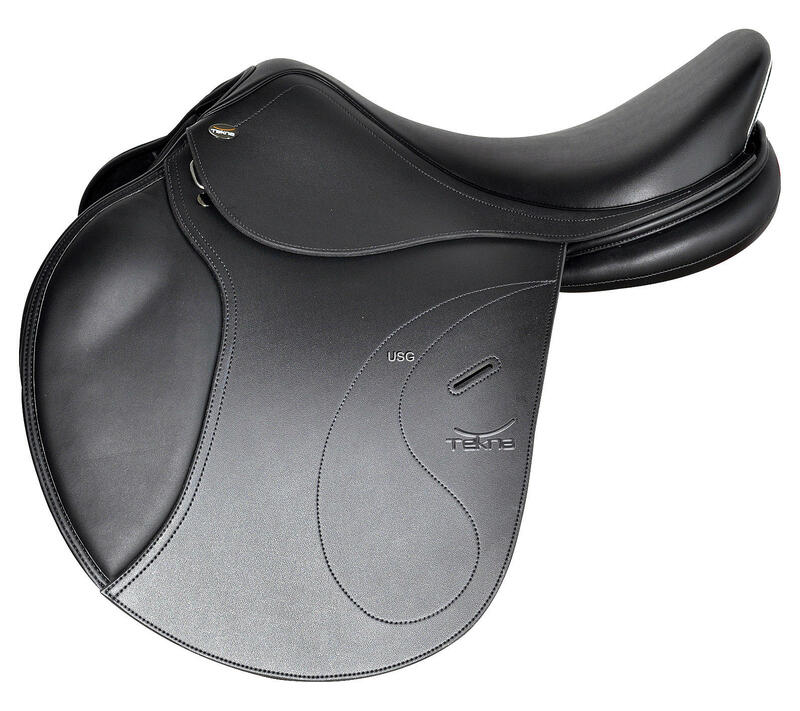 TEKNA® saddles from the A-line are built on the basis of a QUIK-FORM™ saddle tree system. This allows the saddler to quickly and easily vary the chamber width when needed. 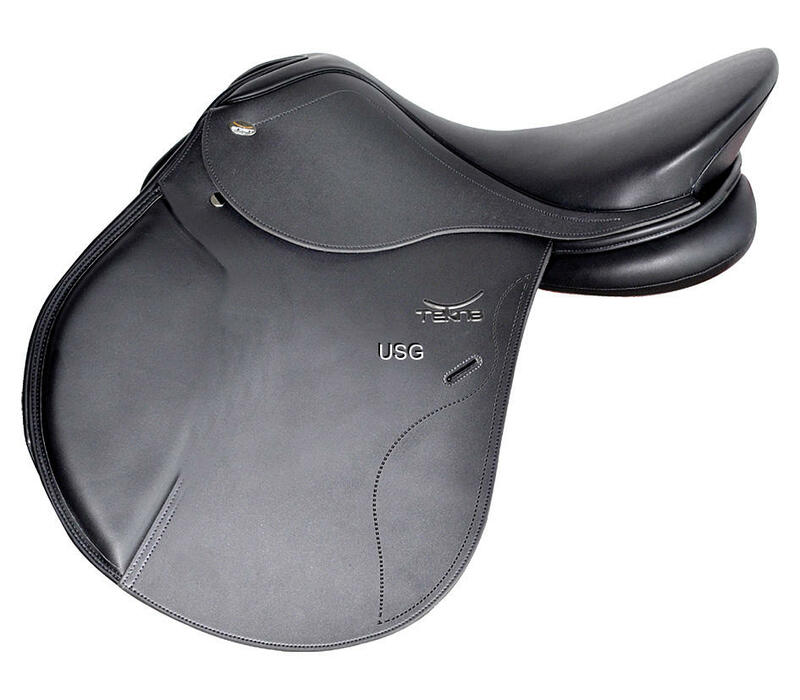 All TEKNA® saddles are characterized by their easy clean upper material. Thanks to the modern QUIK-CLEAN ™ surface, saddle soap and leather care products are not needed anymore. The TEKNA® saddle can be easily cleaned with a damp cloth, that will save time and money for traditional leather care rituals. Also a ride through the water or a heavy rainfall does not affect TEKNA® products. 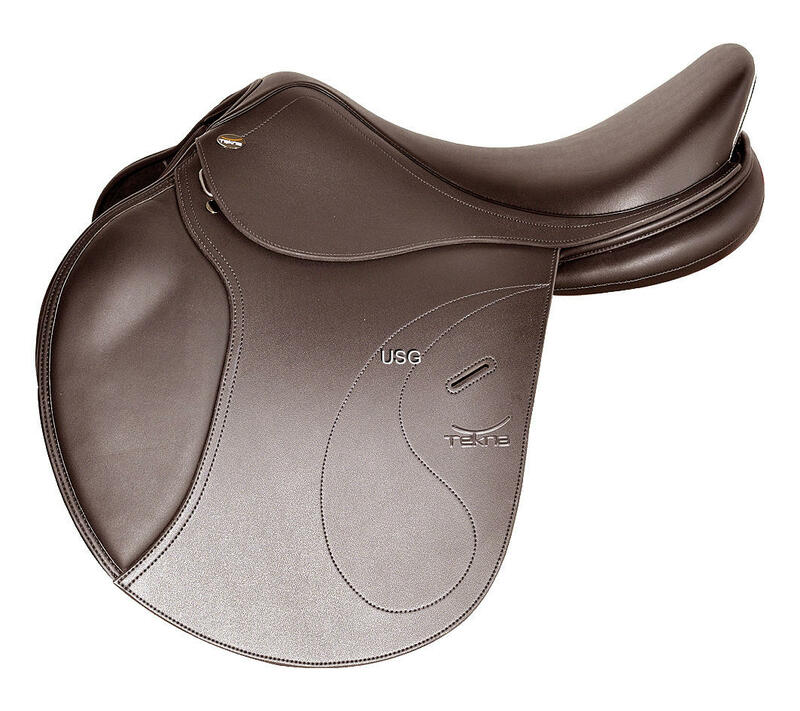 TEKNA® offers a wide range of gullet widths, saddle sizes and colors for all models, so we are sure that you will find the ideal saddle in proven QUIK-CLEAN™ quality! TEKNA® saddles are subject to regular practice tests by professional riders and product developers, so that a constant first-class quality can be guaranteed. If you need precise instructions for changing your gullet or for adjusting a heat-adjustable model, please contact or call us. Our service team will be happy to advise you.